Saved my leather seats in my car. So thankful Clek has these for there seats. ConsDepending on seat, it can block the buckle/s. I had a seat protector for our infant car seat before purchasing the Clek Foonf. The seat thingy puts the last seat protector to shame! 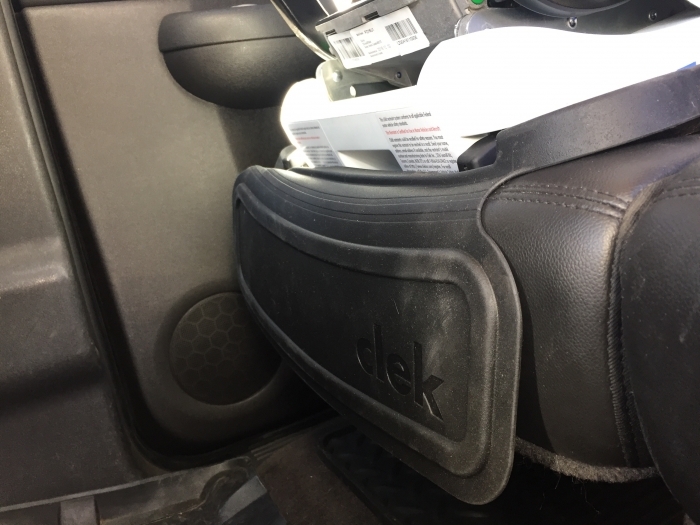 Itâ€™s a good weight and high quality rubber much like floor mats so itâ€™s hugs the seat and stays in place and it even has a lip around the edged creating a spill reservoir. These fit into my minivan great and kept my seats from getting destroyed. Also great crumb catchers. Get this to avoid damaging your car seats from your child's car seat and to catch all of the spills and messes that your toddler may make. We appreciate that the car seat was tested with this Mat and it will help to protect our car seating area material. Superior quality mat. The edges of the mat are raised well enough to keep minor spills/crumbs contained. Love the cut-out for the Rigid Latch anchors on the Foonf for foward-facing installation as well! Just like everything from clek, the quality of this mat is excellent. Very soft and pliable. One of our vehicles has a leather interior and we use it to keep the car seat from causing permanent marks. This did everything I hoped it would-- catch crumbs/spills and protect my leather seats. It's installed under a Clek Fllo and the whole process only took about 5 minutes. The fit is really secure and the rubber traction is great so I don't worry about extra slipping/sliding. This mat is great! 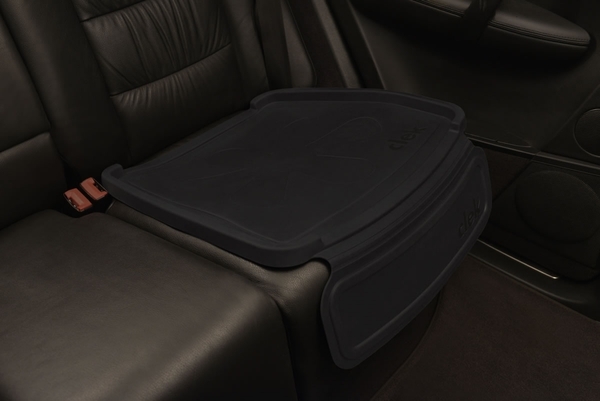 It protects the car seats from spills, crumbs, and the damage done to the foam due to the pressure of installation. Additionally these are crash tested with Clek seats to ensure safety. 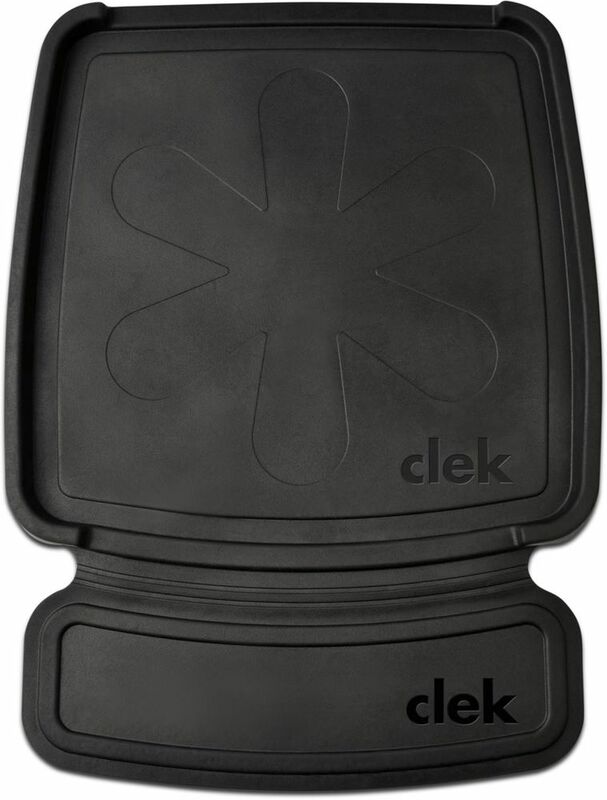 I'd never have a car seat without a seat protector and I'd never have a Clek seat without a Mat Thingy. It's a must have if you want to save your car's seats! It's not just about the mess either - our foonf puts some pretty hefty pressure on my car's leather seat, so having this in between the two makes me feel sure that the car seat itself isn't doing any damage. I'm glad I bought these mats with my carseats. They've saved my leather seats many times! I have three mat thingys and they do what they are supposed to do, protect the seat. Sturdy and appear to be well made. Easy to install mat and attach car seat to the car. No complaints. We have had the Mat Thingy for over a year now and we've only had to wipe it down once a month to keep the backseat clean. Highly recommended. I'm so glad that we purchased a Clek Mat Thingy to protect the leather in my new van! 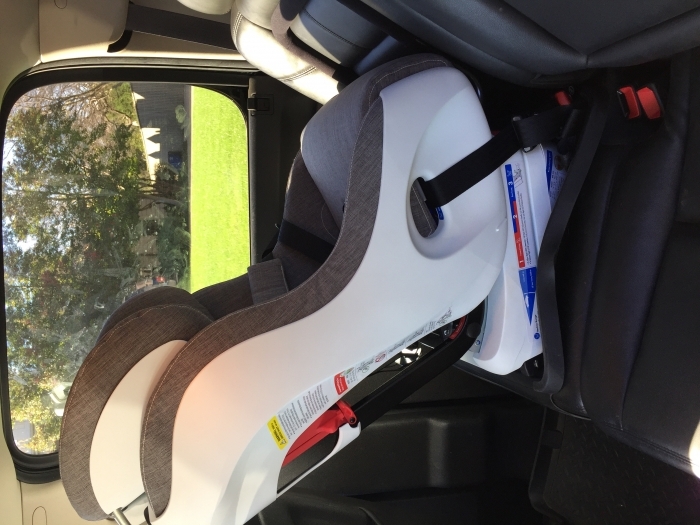 It works perfectly on the seat and also helps the car seat stay stable on the seat during installation. Thanks for the great product Albee Baby and Clek! Yes, it is a rubber mat that protects car seats well (as any rubber mat would). The drawback is that it fits too exactly. If it's off by even the tiniest bit, the raised back edge interferes with the rigid latch attachments. Because of the weight of Clek seats, the rigid latch, and the grip of the rubber mat, there is no shifting things around once you get started. My husband forced it once and the mat jammed up the latch attachment so badly we didn't know if we would ever get it back out again. So yes, I can recommend this product because it is as good as or better than any comparable product, but with a word of caution that it must be installed carefully. Despite the price, I ended up buying a mat for each of my Cleks. This mat would probably be great for any carseat. 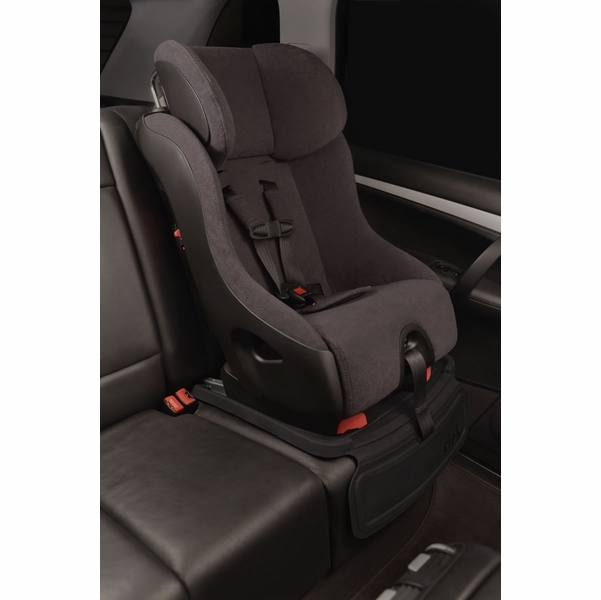 The material is thick and helps protect the seat as well as provide a stable surfaceI haven't noted any black material rubbing off on the carseat, as has happened with cheaper mats. I think the material is likely to hold up well with time, although I can't say for sure yet. We have two of these. One for our oobr and we got a new one for our new fllo. If you want to protect your leather, you have to get this. We have used it in black leather as well as almond leather and it has protected our seats well. Love this thing. Our seat was getting really damaged by our car seat before we started using this thing. My clek Fllo was leaving some indents on my new leather seats in my van. Clek allows a safe install with the mat thingy so we gave it a try! It's perfect! I get a solid, correct install and seat protection. This Mat Thingy is great. Fits the Clek Foonf perfectly and I can tell it protects our leather seats. 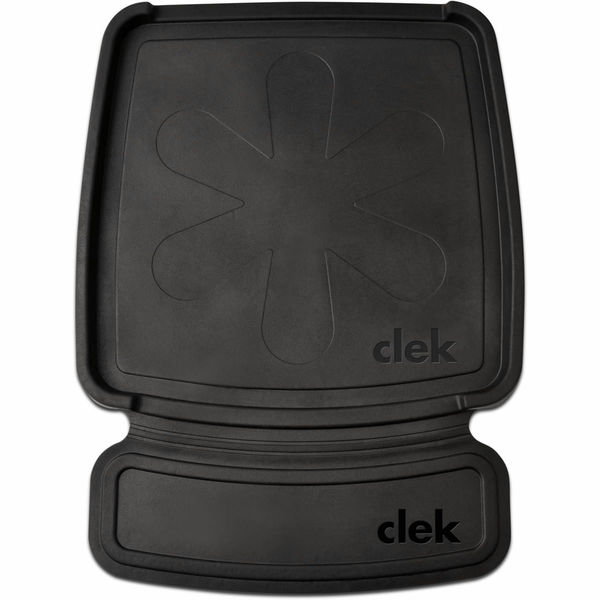 This mat has been tested with Clek products and is well built to prevent slippage in the event of an accident. 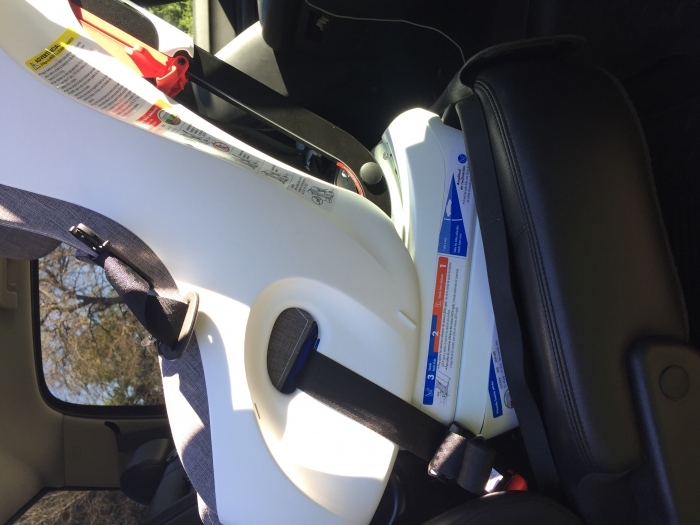 It is slightly longer than the base of Clek's booster seats, but trust me when I say anymore protection your car can get from your kids is a good thing. I have received the mat thingy and will be ordering another for my other kids' seats. We are officially a Clek family and each of my 3x kids has a clek seat. the booster, foonf, and fllo. I plan to use the Mat thingy for both the foonf and fllo to reduce the crumb mess that seems never-ending. Works great for the car seats on the sides. Doesn't fit perfectly for a three in row middle seat. Which I guess is expected. Our middle mat overlaps a little, but serves its purpose! We have 4 Foonfs for our 2 girls between our 2 cars. 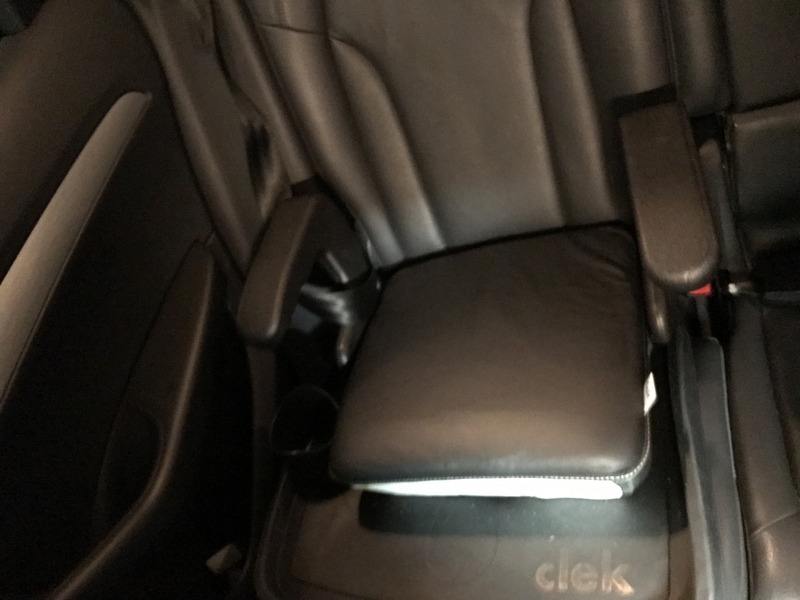 After contacting Clek and trying the other car seat mats that we already had and loved, the Mat Thingy was the only mat that fit perfectly and protected our car. But most importantly besides protecting the car and catching all the crumbs and spills, this mat is the only mat approved and tested with Foonfs and Fllo that safely works. Technically, mats should not be used with carseats as they are not tested to uphold the same safety standards when the carseats were tested in cars without the mat. The rubber is very thick and of good quality. ProsUsing this specific mat will allow the carseat to continue to stay safe which is the #1 reason one would spend so much for a Clek. Best UsesWorks perfect with Foonfs and Fllos. Not too thin and not too thick. The mat thingy fits well under our foonf as I would expect it would. I have a 2011 Silverado 1500 and my wife has a 2015 Mercedes c300. It works well on both seat shapes. My truck has a bit softer seats in the back and when the seat in secured down snug, the mat can lift on the sides easily. I would recommend, as we have now bought a second seat and mat thingy so we are not moving seats between cars. We bought two mats mainly to protect our leather seats. The foonf is heavy and was leaving indents. The mat has helped alleviate that some. It has also allowed for a more secure grip with the foonf and seat. 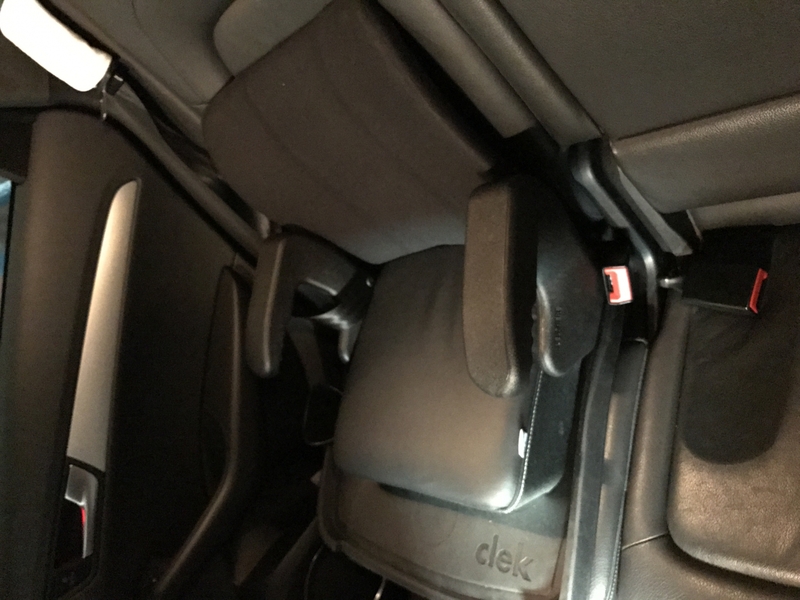 Best UsesProtect seats, help get snug fit with car seat and base of foonf. This is a very nice mat and protects my seat well. What I will say is that it fits better on the outboard seating positions (the ones on the side, not the center seat) but it will fit as long as the fit complies with the manual. You can view this online before you buy. You can only use this with Clek seats because that is the only seat it has been crash tested with. A mat may mask a bad fit, so i suggest learning to install the seat very well before you add the mat to the equation. Super grippy on my leather seats! This mat is great! 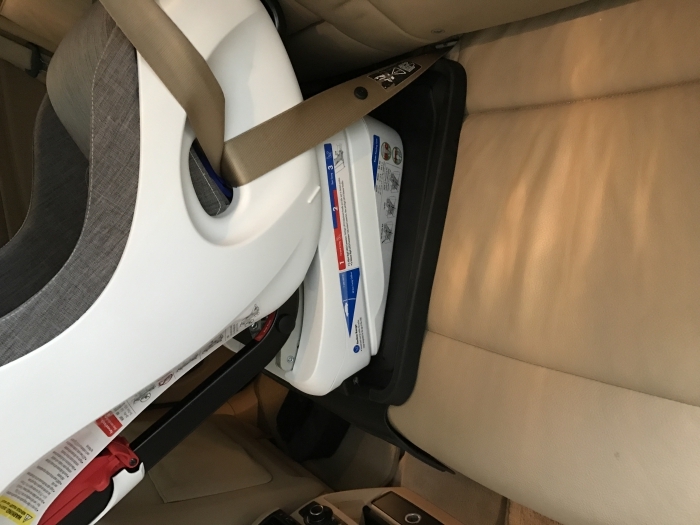 It fits the backseat perfectly and protects the cars' leather seats from being damaged from the plastic bottom of the car seat which gets scraped against the seat while being installed or moved. Great idea on behalf of Clek to think about such and protect the car. It also is easy to clean should anything spill, etc. 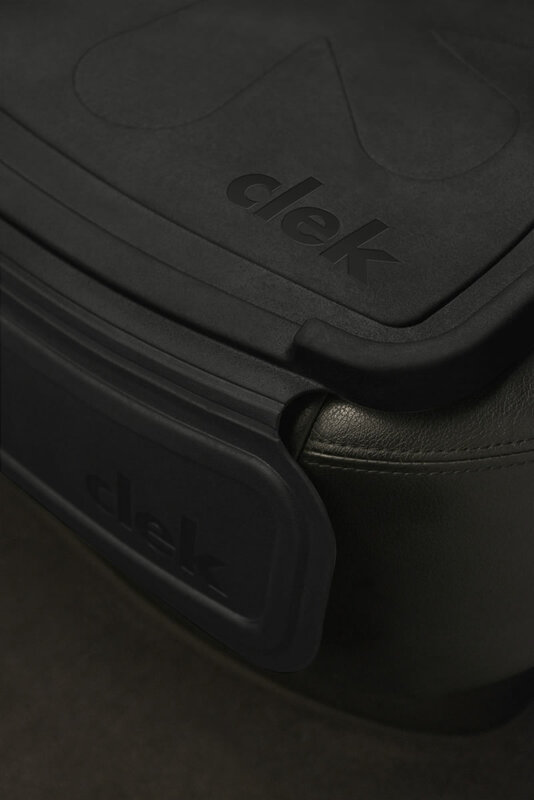 The mat-thingy is a vehicle seat protector that is designed, tested and approved for exclusive use with all Clek car seats. 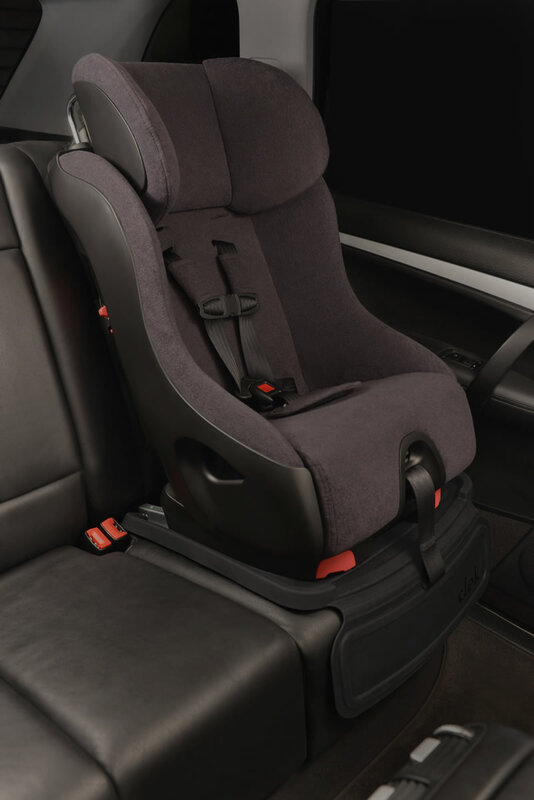 Its non-slip LATCH-compatible design provides protection against spills, compression damage to the vehicle seat; and other unwanted mess from children in your back seat!